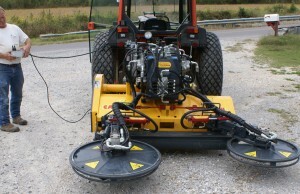 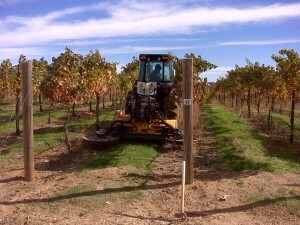 Flail with Dual Mow-Arounds | Butler Equipment, Inc.
Electric-over-hydraulic joystick controls for adjusting tilt and recalling mow-around disks in advance of young vines. 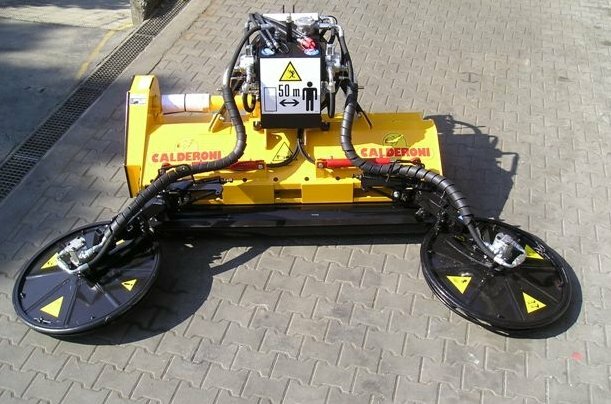 Hydraulic fluid radiator prevents over-heating. 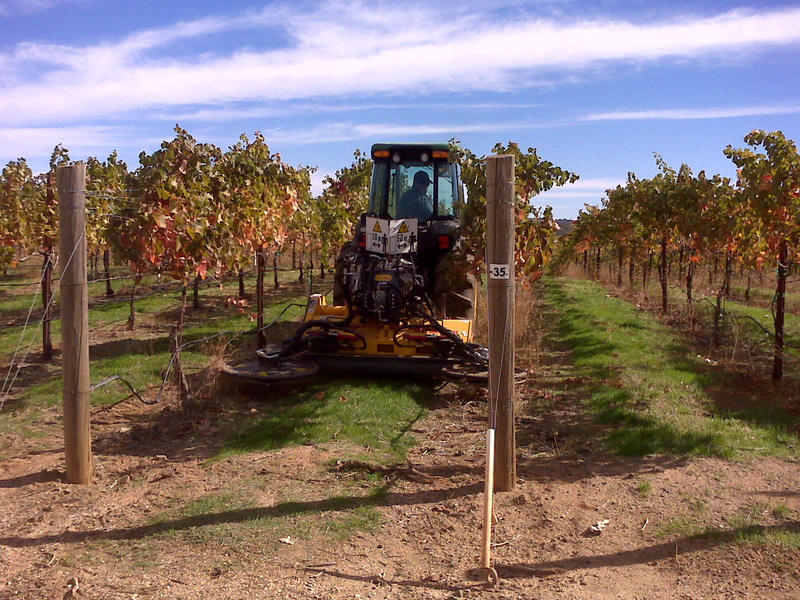 Models can be designed for narrow or wide rows.